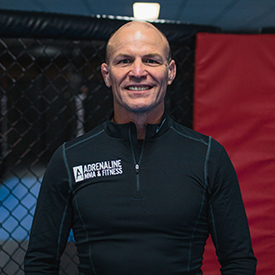 Mixed Martial Arts is the fastest growing sport in the world, and at Adrenaline MMA, our classes are broken up into specific areas to the sport. These classes are ideal for people looking to get fit and have fun while learning new skills. MMA is also a great form of self defence. Ground: All the ground aspects of Mixed Martial Arts including ground and pound, high percentage submissions and escapes for MMA and scrambling skills to get back to your feet. Cage and Takedowns: Spending time learning how to finish takedowns and Wrestle properly when strikes are involved. These classes will also cover finishing takedowns and defending takedowns when pressed up on the cage. Striking and Entries: High percentage striking combinations that work for MMA. This will also cover bridging the gap between striking and Wrestling. Once you have a solid grounding in all these areas, you will be invited up to the Advanced MMA classes which include a lot more sparring and heavy contact drills. These classes run for 1 hour. My fitness level isn't currently great, can I still try this class? -This class isn't about how fit you are, it's about teaching you the basics of MMA in a fun and safe environment. Your fitness level will improve over time in the class. I have no Boxing, Kickboxing or MMA experience, is that a problem? -No problem at all. In this class we will start to teach you basic skills and combinations in a safe environment. This class is designed for people with absolutely no experience. I'm not comfortable getting hit, will I be okay in this class? -In the MMA class you won't be doing any heavy contact drills, this is saved for later on MMA advanced classes when you are ready for it. -Starting training at a new gym can be fun with a friend, but you do not have a organise to have a partner for each class. Just come on in. I don't want to hold the rest of the class back. 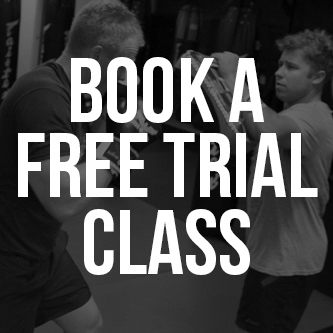 -These classes are designed for people with absolutely no experience in any martial art. Do not put off starting in these classes because you think you are 'unfit' this will improve in these classes. -You do not need to have your own equipment when you are getting started. We will provide gloves and shin guards to trial students. Once you have decided you want to continue in our program most students purchase their own boxing gloves, hand wraps, shin-guards, MMA sparring gloves and a mouth guard. We stock all these items at reception. All you will need is comfortable workout clothes, (shorts and a t-shirt) the class will run barefoot on mats. How do I know if I'm Beginner or Advanced? -We usually ask that all new students at least do 1 class in the Beginners MMA. 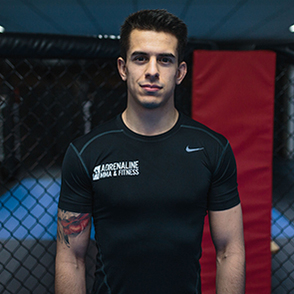 From there our head coach will direct you on what classes to regularly undertake. If you strongly believe you are above Beginner level, please come down to an MMA sparring session Saturdays at 12.00pm. I've been training at Adrenaline MMA & Fitness for almost a year now. During my time I have enjoyed being instructed by world class trainers that show real passion and a wealth of knowledge.